Australian utility organisations are exploring the use of the Internet of Things (IoT) as a response to consumer demands for fairer prices. IoT is the most adopted technology by utilities according to research from Gartner. Yet utility companies lag behind the overall top performers – companies that factor digital considerations into strategy and planning – in implementing and planning for most emerging digital technologies, with IoT being the only exception. "The sector characteristics (that is, a large amount of spatially distributed and complex assets and processes) have necessitated the development of remote monitoring and control technologies, including vertical IoT platforms," findings from Gartner's 2018 CIO Agenda: A Utility Perspective stated. As a result, Zuora vice president and general manager of Asia Pacific Iman Ghodosi believes there is an "urgent need" in Australia for an overhaul of utility pricing models. "Not only to ensure fairer prices, but also to meet the needs of a new generation of consumer," Godosi told ARN. "Already, we are seeing non-traditional utility providers like Amaysim, and now Telstra, disrupting the traditional players by exploring IoT offerings." Consumers are demanding real-time information along with more flexible pricing options for water, gas and electricity, according to Ghodosi. "Essentially, they want greater transparency," Ghodosi added. "By offering consumers a more detailed breakdown of quarterly costs, measuring the amount of electricity the fridge or the washing machine are using, for example, Australian energy providers can use IoT data and subscription-based business models to build more detailed profiles of their customers. "The more data you collect, the more you know about your customer and ultimately, the more you can offer them in terms of personalised services or add-ons. "From a business perspective, this unlocks new 'sticky' revenue streams and means that consumers are less likely to shop around for a better deal." According to Gartner, 59 per cent of utility CIOs said they either have already deployed IoT or have it in short-term planning. "In Australia, consumers are frustrated by the overpriced utility fees they are paying and the lack of control they have over what they are actually paying for," Ghodosi explained. "By introducing more IoT-based services, Australians will be able to pinpoint the ways in which they are using their electricity, so that they can reduce their bills and simultaneously reduce their environmental footprint." 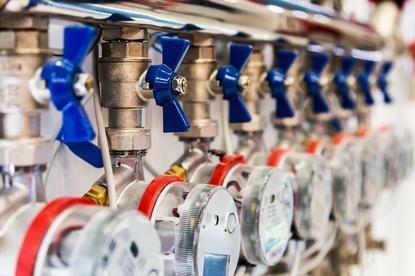 In September, Telstra revealed it have been trialing its Digital Water Metering IoT solution for the past year helping identify and prevent water wastage and focus on water saving measures.